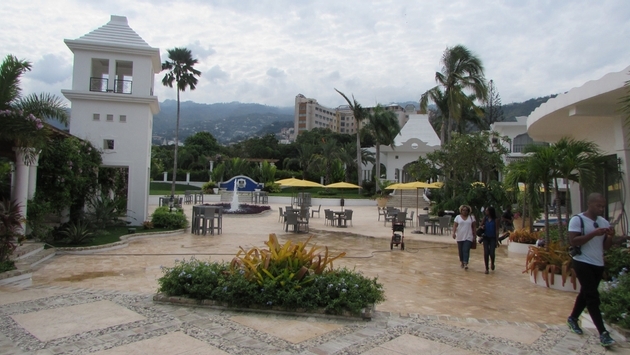 PHOTO: The NH Haiti El Rancho is described as “the most expensive hotel in Haiti.” (All photos by Brian Major). Compared with other Caribbean nations, Haiti is certainly as an emerging destination for leisure travelers. But that doesn’t mean the country doesn’t already have hotels capable of accommodating discriminating North American travelers. In fact there are several Haitian hotels that compare favorably with some of the best-known properties across the Caribbean. Haiti will gain another new property on March 1, when the 175-room Marriott Port-au-Prince launches officially with a “soft” opening. The hotel was built through a partnership among Marriott International, Digicel Group and The Clinton Foundation. The Marriott Port-au-Prince employs a “primarily” Haitian staff and purchase goods and services from local businesses, including bath soaps from Ayiti Natives, a Haitian beauty products producer. 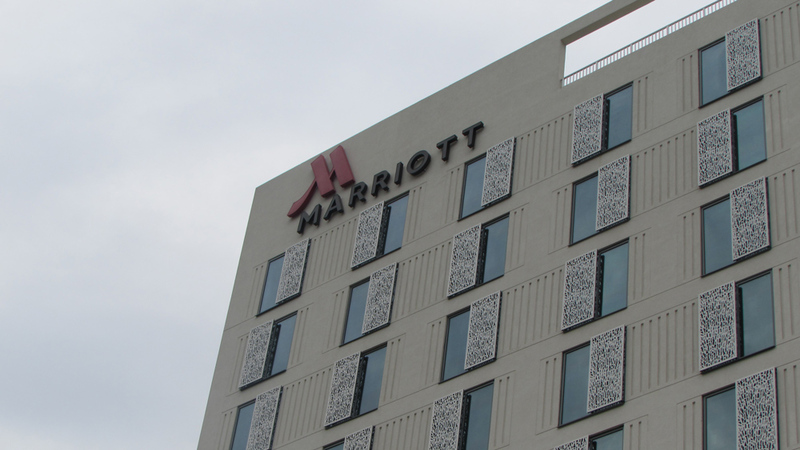 PHOTO: The Marriott Port-au-Prince will open on March 1. Hotel managers also buy coffee from REBO, a Haitian brand that sources beans from growers in southern Haiti, and food for its restaurants from Haiti’s Afe Neg Combite (Black Farmer's Co-op). Intended to accommodate leisure and business travelers, the Marriott Port-au-Prince is located seven miles from the Toussaint L'Ouverture International Airport. The hotel features contemporary decor and amenities including high-speed Internet access and LCD TVs in each room. Dining options include the La Sirene Bar and Restaurant, and the hotel also offers a fitness center and an outdoor pool and terrace. The Marriott Port-au-Prince adds to a growing roster of full-service Haitian hotels, which include the Best Western Premier Hotel, Hotel Club Indigo, Hotel Montana, Hotel Villa Therese and the Wahoo Bay Beach Hotel. Located in Petion-Ville, an upscale Haitian suburb that’s become a leading business and commercial district following the 2010 earthquake, the family-owned Kinam Hotel is a historic property launched in 1900 as a nine-room hotel. The property was renovated in 1985, with a new, modern hi-rise building added alongside the original hotel structure. The original hotel building remains in operation and offers a fine example of the “gingerbread” architecture developed by Haitian craftsmen returning from training in France at the end of the 19th century. The new building is finished in contemporary style with furniture exclusively fabricated in Haiti. The hotel also features decor created by local artists in the colorful and original styles found all across the country. Indeed, vendors set up a large, informal art market directly across from the hotel every morning. The Le Rond Point Restaurant features French/Haitian cuisine and other facilities include the Terrace Restaurant; La Carafe, a wine bar; Tipsy, a locally popular lounge and bar located one floor up from the lobby via circular staircase, and Kafe, a specialty coffee shop. The 128-room Royal Oasis by Occidental opened in December 2012 in a downtown district of Petion-Ville. Set within a three-acre gated reserve with gracefully manicured grounds, the high-rise hotel’s upper floors offer sweeping views of Petion-Ville and Port-au-Prince. Guest rooms and suites are finished in contemporary fashion, and other facilities include a posh array of public rooms. There are also several elegant boutiques and an art gallery on the grounds. Complimentary transfers to and from Port-au-Prince International airport, located 30 minutes away, are available. Moulin Sur Mer is a colonial-style beach resort in located in Montrouis along Haiti’s Cote des Arcadins. The property is low-rise, relaxed reserve with sunny gardens, an outdoor swimming pool, a restaurant and two bars. Free Wi-Fi is available in all rooms. Moulin Sur Mer also features a marina and a PADI diving center that offer excursions to the area’s snorkeling sites and nearby islands. and PADI diving courses. The hotel’s restaurant serves local and international cuisine for breakfast, lunch and dinner. 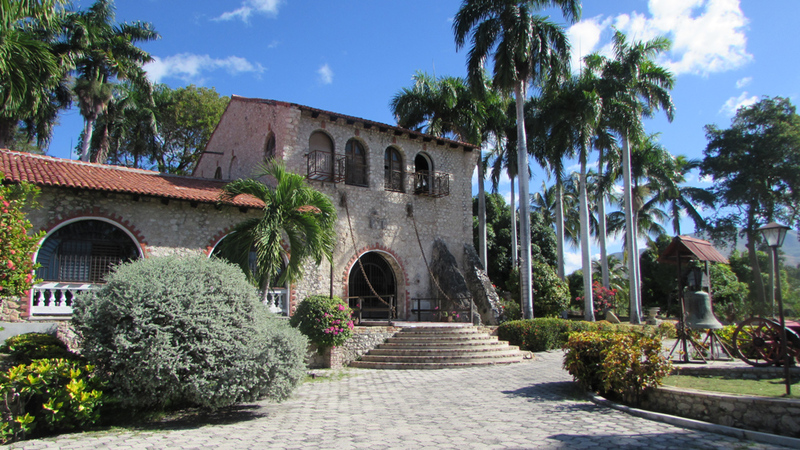 Moulin Sur Mer is within walking distance of the Musee Ogier-Fombrun, based on the grounds of a former sugar cane plantation restored by Haitian sculptor and architect Gérard Fombrun. The museum features art, displays and artifacts from Haiti’s slave successful revolt and the establishment of independence in 1804. The museum also chronicles Haiti’s pre-Columbian Indian era and colonial eras, and Haiti’s past as the Caribbean’s largest sugar producer. PHOTO: The Museeu Ogier-Fombrun is adjacent to the Moulin Sur Mer resort. Described by its operators as “the most expensive hotel in Haiti,” the 72-room NH Haiti El Rancho is indeed a top-tier property with small luxury touches from Bose sound systems to Calvin Klein-designed carpets. The 50-year-old hotel was very popular with international celebrities and European royalty in the 1950s and 1960s. Fully renovated after the 2010 earthquake, the hotel’s front areas feature arched walls that survived the event. Accommodations are available in deluxe, executive and suite categories and feature tiled floors, contemporary furnishings with white linen curtains and bedding, and colorful, original wall art. Amenities include free Wi-Fi, air conditioning and satellite television. Rooms feature city, piazza and pool views, along with balconies and patios. The grounds also feature an outdoor pool adjacent to a large terrace dotted with palm trees. The hotel’s restaurant serves Creole and Italian cuisine, and other facilities include a gym and a casino. The 187-room Karibe Hotel and Conference Center is one of the country’s most highly regarded properties; indeed it is rated as a five-hibiscus property by Haiti’s Ministry of Tourism. Based in a former monastery built in the 1920s in Juvenat, a quiet and charming Port-au-Prince suburb, the property was recently renovated with a new building connected to the hotel’s older section. The grounds are graced by lush gardens and rooms feature decor created by Nadime Hyppolyte and Philippe Dodard. There is a gift shop in the hotel’s reception hall and other facilities include a pool, health and fitness club, a tennis court and a spa. The hotel offers a shuttle service to and from the airport. The La Brasserie restaurant overlooks the hotel’s gardens.